A brilliant detective thriller with a supernatural twist! Flashes of things she can't explain. A girl in trouble. The sound of trains. She feels certain they are clues to a crime. But no one will believe her. Until she meets Tom, a young policeman on his first case: an accidental death on the railway tracks, not far from where Charley lives. Was it an accident, suicide...or murder? The attraction between Charley and Tom is instant, but can they work together to find out what really happened on the tracks before it happens again? Recommended for fans of Slide by Jill Hathaway and 17 & Gone by Nova Ren Suma. 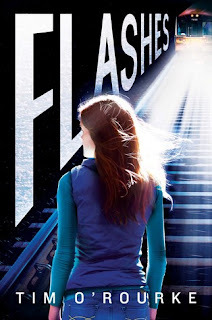 Flashes is the story of Charley who has been experiencing flashes- or visions- of girls whom have been kidnapped and murdered. They all seem to be connected somehow and she's been having them for years. When her best friend dies, the only one that believed what she saw. She decides that she has to find out the answers to why. Charley has always been teased at school and it was hard enough to find a friend that stood by her side. One that believed she saw the flashes and they meant something. When her best friend dies she has only her father. A father that gets upset whenever she mentions her flashes and takes her to see doctors. When trying to track down the latest vision, Charley meets the newbie police officer on the case and they begin to work a case together. He believes her and they decide a serial killer is on the loose. For a book about murders and romance it is a pretty clean read. There is violence (of course) but the story is a subtle and progressive mystery. My favorite character was Tom, as a young and new police officer he has not yet been corrupted by the system and trusts his gut. The story is told from both Charley and Tom's perspectives, also more than getting the flashes there are other ways that the dead girls are asking Charley for help. 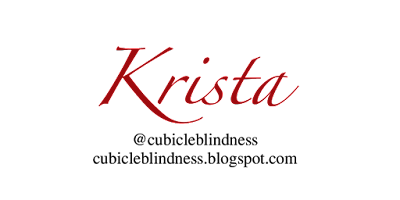 Supernatural mystery with a cute beginning to a romance. Charley and Tom worked great together and it would be interesting to see what could happen next in their story.